Are you having a problem finding a place to store your RV? Look no further. Critters RV & Self Storage in West Jordan, Utah, offers secured RV storage for your convenience. 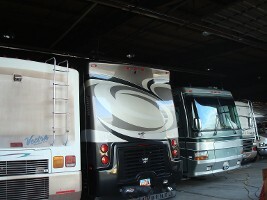 All RVs in our indoor facilities are tempatured controlled and maintained. 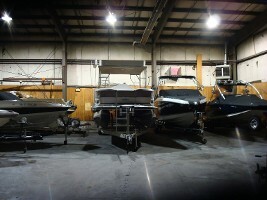 When you come to get your RV, boat, or vehicle, we will have it ready and waiting for you. Be worry-free about your valuable assets when it comes to the weather. Water is the number one thing that will destroy your assets. Now with an affordable storage facility, protecting your valuables is easy. Our self storage units come in many different sizes to suit your individual needs. We have 5'x5', 5'x10', 10'x10', 10'x15', 10'x20', 10'x25' and 10'x30' units available with outside access, as well as hallway climate-controlled units available. Our self storage rentals are used for both residential customers and commercial customers who need extra space that they do not have at home, or that they require to operate their own business. Contact us to find out more about our climate-controlled storage units today.